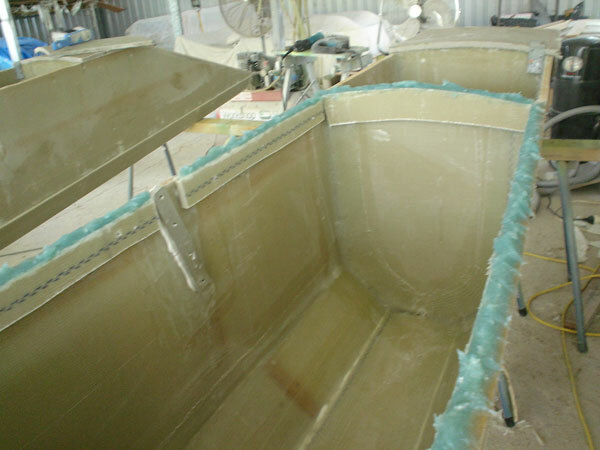 The inside joints were taped. 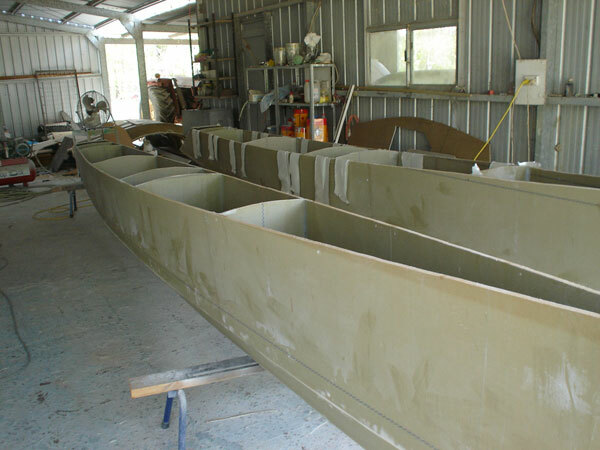 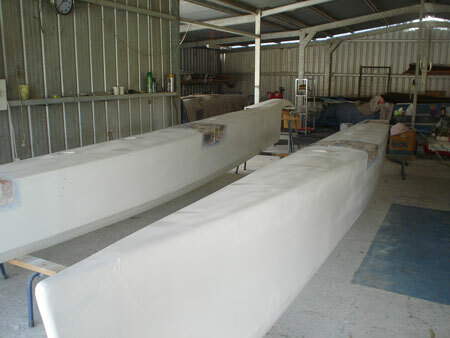 The float was levelled and the bulkheads were added and taped. 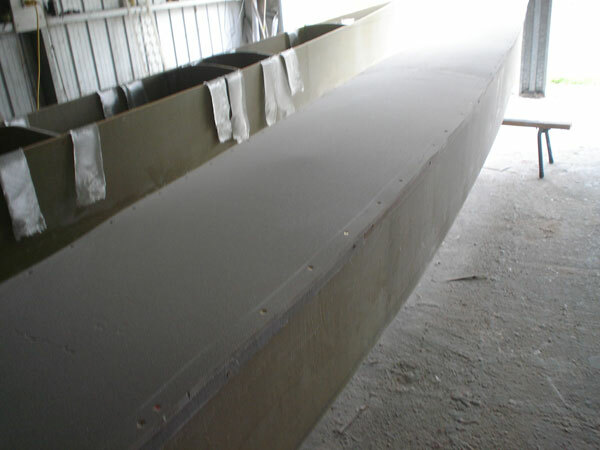 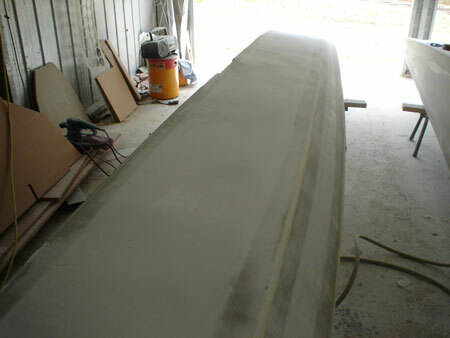 The foam was removed from the edges of the hull sides and decks glued to the hull. 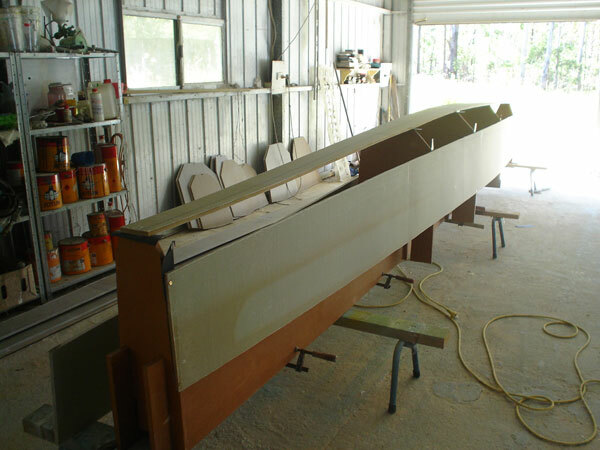 The glue we use is resin mixed with aerosil/cabosil and cotton fibres.The deck was added in three sections leaving the space to add the beams later. 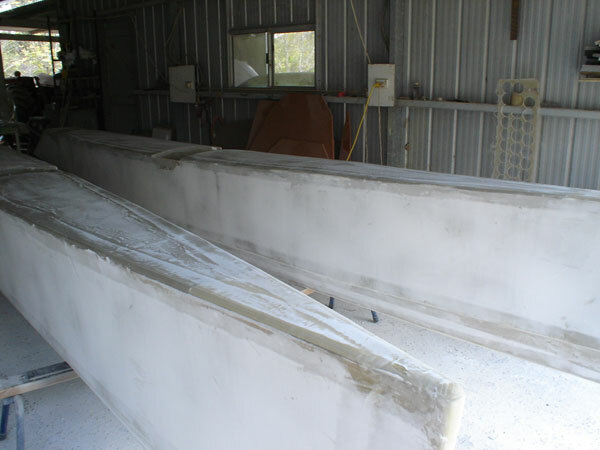 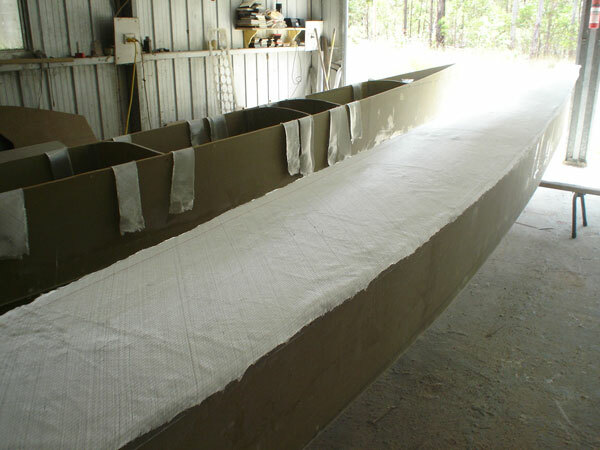 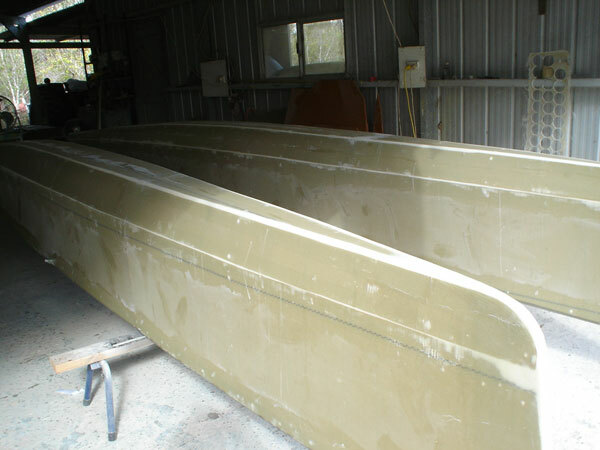 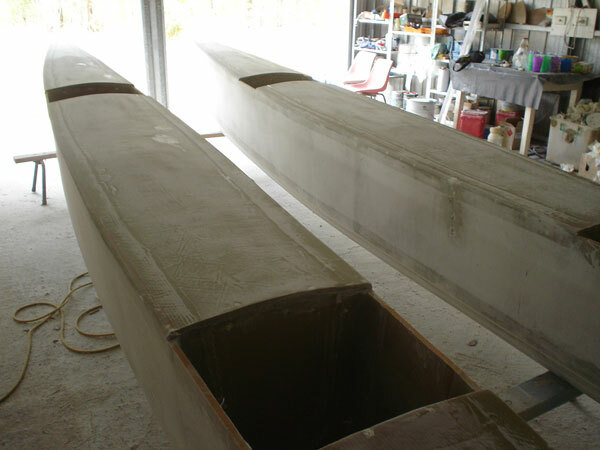 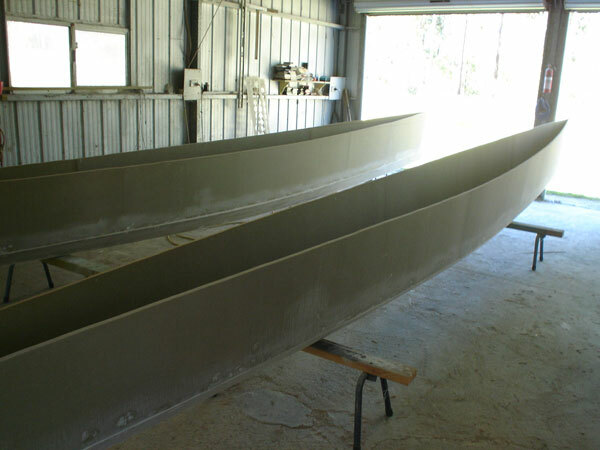 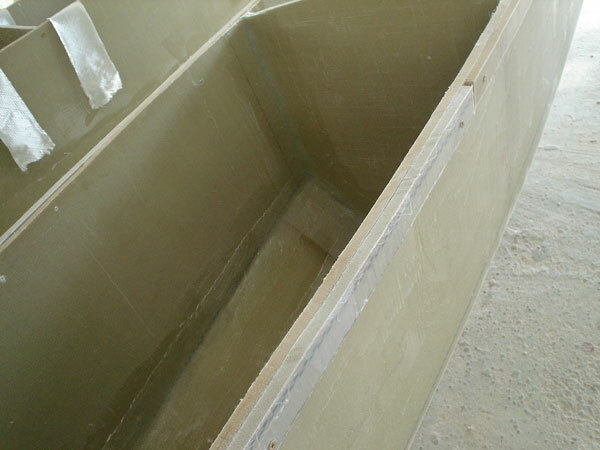 The floats were filled (resin mixed with Q-cells) and is now ready to paint.Floats were primed using Jotun Pengard. 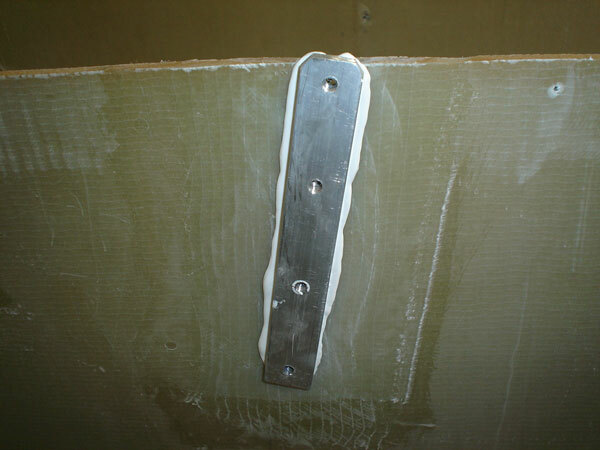 The area around the beam attachment area were masked.